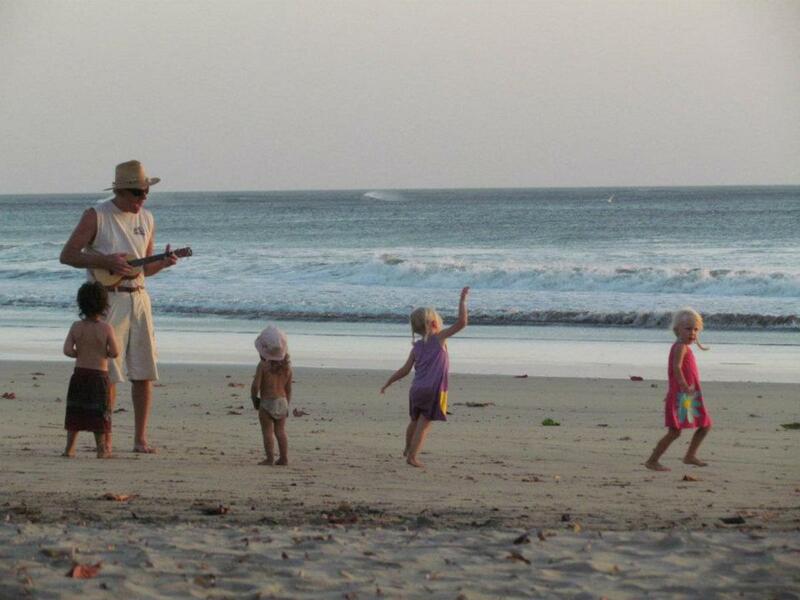 Playing on the beach in Playas del Coco, Costa Rica. 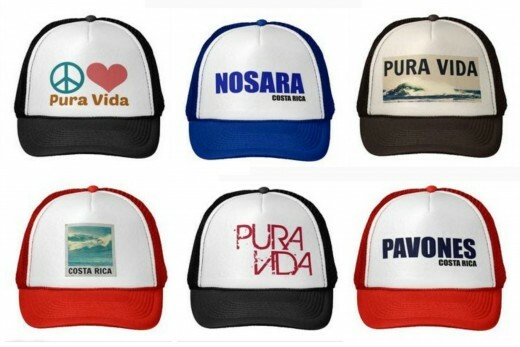 "La pura vida" - when translated to English Pura Vida means "pure life" or "full of life". Each and every day ends with a breathtaking sunset, a time for reflection and gratitude. I quit my job and moved to Costa Rica and I am not alone. There are currently 100,000 expats living in Costa Rica. Many of these people are leaving behind their entire lives in more "developed" nations such as the United States and Canada, quitting their jobs and moving to Costa Rica. What do you do there for work? Although I'm sure each expat has their own personal reasons for ultimately making the move, there are some common reasons that I hear time and time again with speaking with my other expat friends. Most of these things were the same deciding factors that helped me make what has turned out to be one of the best decisions of my life. Believe it or not, I quit my job, sold everything I owned and up and moved to Costa Rica with my two children without ever visiting the country. This may sound a bit radical or crazy to most people and I suppose it was a bit gutsy. However, before buying our one way tickets to Paradise I did do a lot of research on the country. In addition to the idea of a tropical year round climate, beautiful deserted beaches, volcanoes, waterfalls and exotic wildlife, I realized that the country had a lot to offer my family. Costa Rica is a peaceful nation that has no army. As an American, I am fed up my country being at perpetual war with most of the world. I'm a lover not a fighter and I want to raise my children in a society that is more aligned with my ideals. Good education. Costa Rica has a literacy rate of 95% and a large percentage of Costa Ricans are bi-lingual, speaking both Spanish and English. I knew that moving to Costa Rica would mean that my daughters and I would also become bi-lingual. I also researched schools and found that there were many private US accredited schools that my children could attend. Costa Rica is a very family oriented culture. Costa Rica has affordable and very good health care. Costa Rica provides universal health care to it's citizens and permanent residents. Even as a visitor to the country you can take advantage of great medical and dental care at a fraction of the cost in the US. Lower cost of living. As a single mom of two children it seemed that I was always dealing with some sort of financial struggle back in the States. For a frugal minded mama, the idea that we could live better for less was very appealing to me. Living a simpler life. I knew that in Costa Rica people were not caught up in the rat race like they are in the States. I was tired of working all the time. I wanted less stuff and more time freedom. Healthier lifestyle. I read that Costa Rica was not full of fast food restaurants and pre-packaged convenience foods. In fact, most Costa Ricans live on a very healthy diet which consists of mostly legumes, fruits and vegetables. They also have a lower obesity rate then in the States and live very long lives due to their low stress lifestyles. Most expats experience an effortless 10 lb weight loss after just a couple months of living in Costa Rica. Costa Rica is a small country and it's bordered by Nicaragua to the north and Panama to the south. Traveling with my children is important to me and I knew that not only would we be able to easily travel around Costa Rica but we would also be able to broaden our horizons by traveling to both Nicargua and Panama. These were some of the major draws for me when making the decision to move. Leaving behind your entire life, all comforts of home, family and friends can be a little scary but the chance to experience a whole new way of life was waiting for us! This is probably the most common question that I am asked. People gasp and say, "Oh, I could never live in Central America with my children. I'd be terrified!" 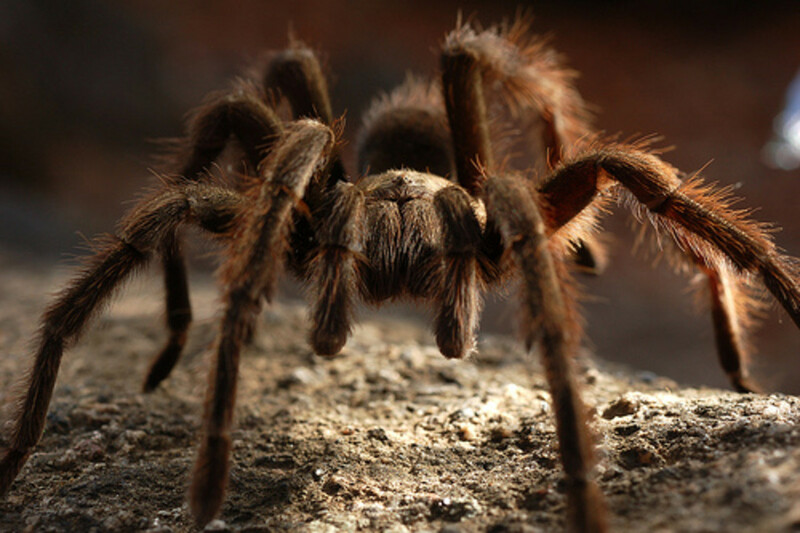 I had none of these fears before moving here and living in the country now for almost three years, I can say that Costa Rica is a very safe place. With the exception of robbery, the crime rate in Costa Rica is lower then more developed countries. Petty theft is the most common crime here and unlike in the States, most times these crimes are crimes of opportunity which means that people are breaking in to unattended cars or homes. Rarely do you hear about someone breaking in to a home that is occupied or murdering someone who they are stealing from. Costa Rica is not, however, crime free. Most of the crimes that do occur happen in the major metropolitan areas of San Jose, Cartago, Heredia and Alejuela. There is also some drug related crime in certain areas on the Carribbean side of the country. The rest of the country is very rural and very, very safe. I have never had anything stolen from me. I did witness a "bandito" who came out of the mangroves on the beach one day to steal a bag that had been left on the beach unattended. The theif was caught by a local man who worked at the hotel and restaurant near the beach and the police were called. Almost every single resident living in that small beach town showed up to meet and talk to the police, making a very loud statement that stealing is unacceptable behavior in their community. As a single woman with two children, I have never felt unsafe, scared or threatened while living here. I actually feel a sense of safety here that I did not feel while living in the US. Before moving to Costa Rica, I knew that as an American I would not be allowed to legally work in the country. Before I moved, I was working as a home based travel agent and in my mind, there could be no valid reason why I couldn't just work "remotely" from Costa Rica. My company had different ideas of course ( insurance issues). I knew that I couldn't let something like a "job security" stand in my way. In the end, I made the decision to quit my job so that I could make the move to Costa Rica. For the first year I did not worry too much about how to make money. I had some money in savings that I knew we could live on for at least the first year. That first year we mostly relaxed and spent a lot of time traveling and exploring the country. We took a three week camping trip, traveling around and camping on beautiful deserted beaches all around the Nicoya Peninsula and eventually ended up in a small town called Playa Avellanas. After spending some time there and getting to meet some of the people of the community we decided to call it home. Once I enrolled my children in to one of the US accredited private schools my bank account started to drain rather quickly. It was time to figure out how on earth I was going to pay the bills in Costa Rica. Making money as an expat in Costa Rica is nothing short of a creative endeavor. They say if there is a will, there is a way! These are a few of the ways that I make money as an expat in Costa Rica. Childcare, house sitting or pet sitting. I started a community project The Puka Project which is an enrichment program for local women teaching them how to become online jewelry store owners. Writing - articles, blogs and hub pages. Making and selling hula hoops. Opening an online Costa Rica souvenir shop and I have a home décor website Pretty Throw Pillows. A few months ago, I realized that I really missed my original profession working in travel. I was able to become certified by the Costa Rica Tourism Board and ICT and started my own travel agency focusing on travel to Costa Rica. Most people I know probably won't like the answer to this question but the honest truth is no. During my time here I have had fleeting moments of home sickness but mostly for the people back home. I find that the longer I am away from my home country and the more time I spend in Costa Rica, the more at home here I feel. 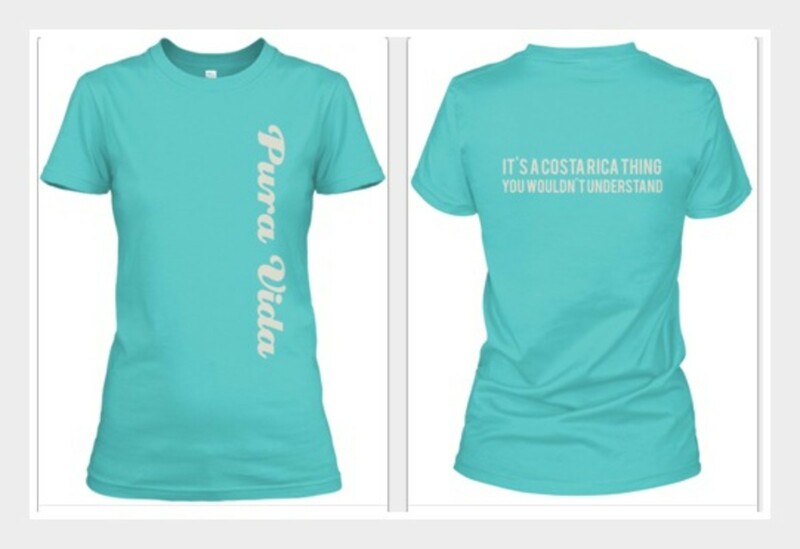 I am absolutely in love with "la pura vida" and all that Costa Rica has to offer. My quality of life here is much better then it was before. I am healthier, almost completely stress free, my relationship with my daughters has grown in unimaginable ways as we have shared these experiences together. I have been able to travel and meet interesting people from all over the world. I have also learned a lot about myself as I faced and conquered each and every "struggle" that has come my way. My creativity and imagination have strengthened as I've had to think "outside the box" in almost every area of my life. I have found great satisfaction in living life in a way that I have intentionally chosen. Quitting my job and moving to Costa Rica was the perfect choice for me. Living my dreams in Costa Rica! I just wanted to add a little update and thank everyone so much for taking the time to read my article and connect with me! I've met so many great people who have reached out to me and shared their dreams with me. You are all so inspirational! Update on our family: We celebrated our three year anniversary in Costa Rica in December. We are healthy and happy and we are still madly in love with Costa Rica. I recently became involved with a small community school in the area where we live. I am doing some online fundraising and online promotion work as well as working with the amazing kids at Educativo Centro Chorotega. It feels really great to be able to help these kids and to give back to a community that has given so much to us! If any of you might be interested in taking a volunteer vacation I am helping the school bring in some volunteers who wish to immerse themselves in Costa Rica culture while donating their time to the great kids at the school. 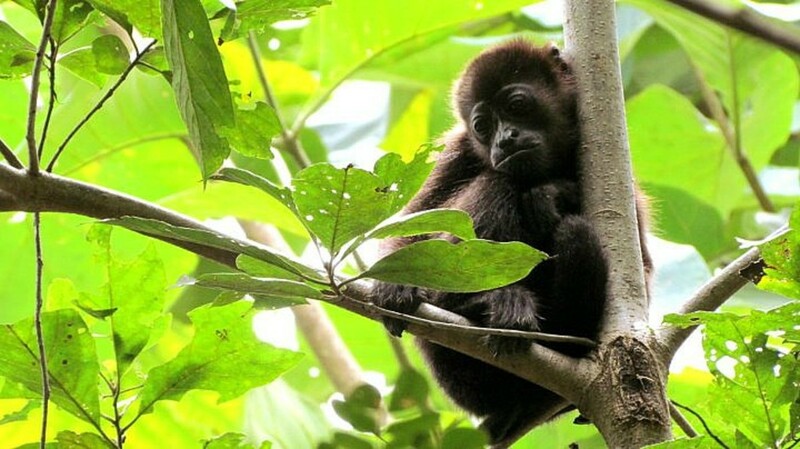 If you or someone you know may be interested, you can read more about it here - Volunteer Vacations in Costa Rica. All of my small businesses are starting to grow, which means I am able to finally relax about our finances! I have decided to take all that I have learned and put my new skills to work assisting local businesses in Costa Rica to help them market their businesses online as well as helping them setup online retail stores where they can sell their souvenirs to an international audience! Many of the great businesses here in Costa Rica do not have an online presence so this is opening a lot of new doors for them. I enjoy the work I do so much and it is a great feeling to be able to help people achieve their goals and dreams! I was also contacted through Hubpages by someone at the BBC who interviewed me about my life here. Pretty exciting! I will post that link here as soon as the article is published. Here is a recent video I made about our sweet little spot in paradise, I wanted to share it with everyone here - hope you enjoy it. Pura vida! 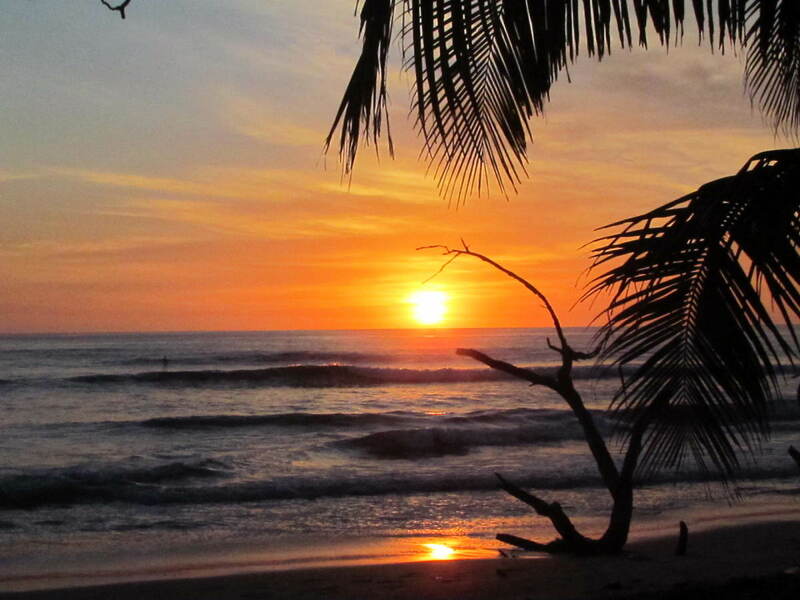 Costa Rica offers miles of beautiful beaches on both the Caribbean and the Pacific. What are the best beaches in Costa Rica? Costa Rica is an amazing country that offers year round tropical weather as well as a variety of micro-climates with in its borders. See the highlights of the country with a National Park park guided tour package. One of the best parts of getting married is the honeymoon! Here are some key tips on how to plan your honeymoon in Costa Rica. This was a great inspirational story. I certainly would love to visit Costa Rico at some point. It sounds rewarding and fun. Thinking of CR to live out my life, I'm a young 72 yr old, would love to know if living on 2000.00$ a month for 2, if you can just give me a price on a small house to rent or too buy. Is there no dialogue anymore from this person? I really enjoyed her story and am interested in the lifestyle change..
Great read, makes me want to move there as well.. Cost of living in the U.S. (especially NY, where I live) is a nightmare. I related most when you talked about the financial stresses that you constantly felt when you were in the States, I get the same way. Taking such a huge leap of faith it is nice to see that it worked out for you and your girls! Nice to know Costa Rica is a good place for a living. I was contacted by a recruiter a few months ago to be relocated to Costa Rica in a new job, but sadly the salary didn't fulfill the cost of living for Costa Rica. I had to refuse the offer so I stayed here in my current job, and for my luck I was granted a Raise!, I think they really don't want me to go. Any way I would love to be recruited and moved to Costa Rica with a nice salary to fit the cost of living, it really sounds great all your comments and information about the place. Nice hub great info! Great article. Makes me want to move there. My family is strongly contemplating a move to Costa Rica. I homeschool my 12 and 13 you and my husband is self employed consulting business. Where would you recommend renting ? We would like to walk or short ride to beach. We are very laid back, but still need conveniences like bank, high speed Internet and orthodontist within an hour or so. Would like to keep our rent below 2500 per month. We would like an area with kids around . Any suggestions welcome. 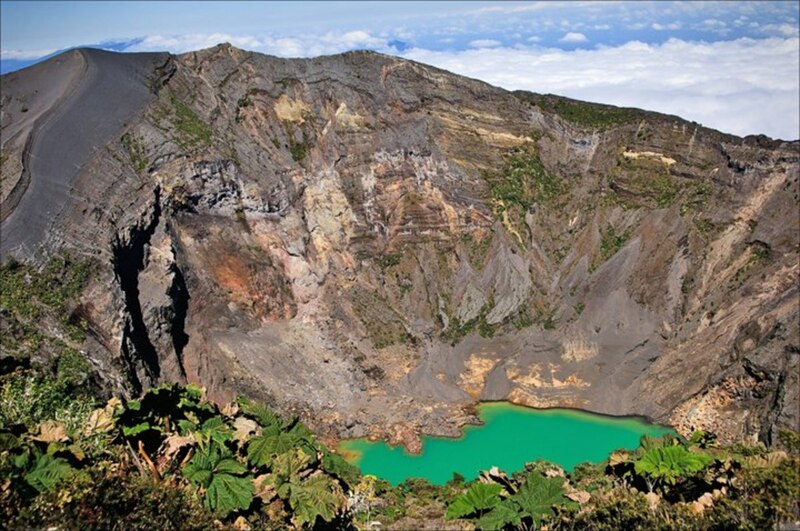 Costa Rica sounds like just the place for someone like me who yearns for a new start. I'm ready to spread my wings and finally start living my life the way I believe we were created to live it...stress free and on our own terms instead of as slaves who are locked into a system that only benefits 1% of the population. I would love to chat with you directly. My email address is theonlykdj@yahoo.com. I know you're very busy, but if you could drop me a line sometime, I'd love to hear from you! Thanks again for sharing such an awesome article. Truly inspiring! Thank y.ou so much for your article! I truly enjoyed it! I currently live in Costa Rica part time, my daughter (19) lives there pretty much full time. She would like to startup an online shop selling new and slightly used items, possibly eventually opening up a small consignment shop. I am not sure of all the legalities of selling things online in Costa Rica to the locals. Do you ha want advice on where I can look into the laws of selling online on a small scale? Thank you again! 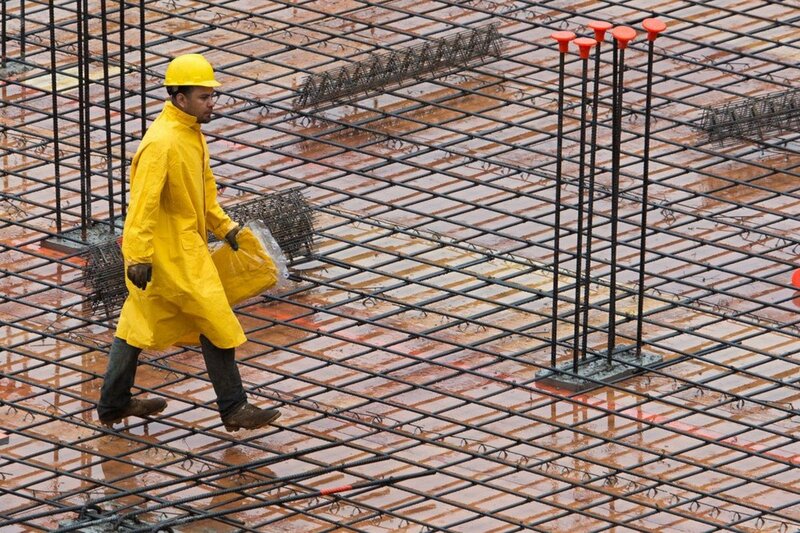 Thank you for sharing your insights in this excellent, informative article! No TV set in your house is the most important thing, no matter where in the world you reside. ps - to add, anyone moving to Costa Rica on a strict budget would do better off in the Central valley areas, since the beach coast states, such as Guanacaste, are more expensive. I just wanted to add one more comment to this great thread :) To anyone looking to move to Costa Rica, it can seem daunting I know (having moved with kids) but it is a wonderful country. Costa Ricans are truly lovely people, kind and helpful and friendly and open. In terms of ease of moving to it, it's very westernized, there are lot of facilities (gyms, schools etc), good healthcare, good roads, LOTS (!) of expats. I recommend joining one of the many many Costa Rica Facebook groups, which have an absolute wealth of information. The one thing I would say, however, is that Costa Rica is not cheap. It's not a place to move to if you are on a strict budget AND have no way of making an income Or have no savings. You will also need to leave the country every 3 months to renew your visa. All Visitors have to do this unless they have residency...it doesn't matter if you have been here for a year or 10 years (I know a couple that have done this for 8 years now!). If you don't have residency it is a requirement. You can renew in either Panama or Nicaragua. This can get pricey since there are exit costs to leave CR ($12) and entry costs to enter ($12) and exit ($7) Nicaragua, which come to $31 per person in total, plus small fees like $1 each for each ticket ...the real cost can come if you are parents paying for multiple children, in which case it can quickly add up (plus gas to get to the border if you drive, or taxi fees if you get a taxi, etc). There is also no way to work legally in Costa Rica without residency or getting certified and running your own business (we know quite a few people doing). The ways of earning money listed in the post are great, but they may not net enough income without having savings to see you get used to the culture/opportunities/first 6mths-year). There is a market in Tamarindo and one at La Paz (private school close to Tamarindo) - both in Guanacaste, which people sell things at, but in terms of larger incomes most people work online via business they have from home or they set up a registered business in Costa Rica. Some other good opportunities for online freelancing include: PeoplePerHour, Elance and Odesk. Costa Rica is just a wonderful, wonderful country, so this was not to put anyone off at all (it's amazing here!) just to say, it's better to be prepared to perhaps pay more than you realise. If you are on a real budget India (which is also amazing) would be a better bet. Would you believe that Costa Rica was foremost in my mind when I was contemplating where to retire? After a thorough research I decided that the income from company pension and social security would make a comfortable living in that part of the world. I would live like a native, experience what it is like to live in those villages up the hills or at the beach. I was sure that I’ll learn to speak Spanish in no time. To be immersed in the community will provide the environment in which to acquire proficiency in the language. The allure of the simple lifestyle started to slowly sink with the thought that the sunsets would be there reliably but the level of experience would remain uneventful. Interested in making the move to Costa Rica... would it be possible to private message you for suggestions and advice. As the days get closer to my trip, I am thinking of how I can enhance my experience beyond the culture, language and volunteerism. Whatever the weather may bring is not a concern as it has been told that if you head straight west from Costa Rica, the first major island group that is encountered is the Philippines. The weather is similar along this equatorial belt and as such the country has the mountain ranges, the waterfalls, the lagoons and beaches scattered all over the archipelago. The Philippines was colonized by Spain for more than 300 years and it was a commonwealth of the United States for several years after the second world war. Just imagine how the culture, and how may I add the language, was impacted and influenced by these two groups. It’s all set. Just a matter of waiting for the day when I finally have a chance to experience what Costa Rica has to offer. The 2-week trip is designed to absorb the culture (staying with Ticos/Ticas), learn the language (attending a Spanish school in the city then at the beach) and explore the opportunities in volunteering. There is a wide choice for volunteers from helping the less fortunate to helping in the conservation of the environment. Congratulations on following your heart! I recently left my job of 25 years, serving a diverse population in gaining access to free legal services in our difficult judicial system. Seven years ago I traveled to CR, fell in love with the country, culture and lifestyle, longing to return. Living on a limited income however, has prevented me from living my dream. Helping those less fortunate is my passion but, I'm not sure what opportunities out there are legit. If you would, would you please forward some information for me to research? My email is pammywein@gmail.com. It’s interesting how I got into the HubPages of Tiffany Redman. I was actually researching the cashew and stumbled upon her article. Cashew nuts are being marketed everywhere but why are there no products derived from the ‘apple’ of the fruit? There is so much juice in the apple. They grow with abandon and hardly any care around my property here in the Philippines so I started experimenting with vinegar and wine. I’ve been to Costa Rica thrice before but just passing by and never really have the time to absorb the culture. 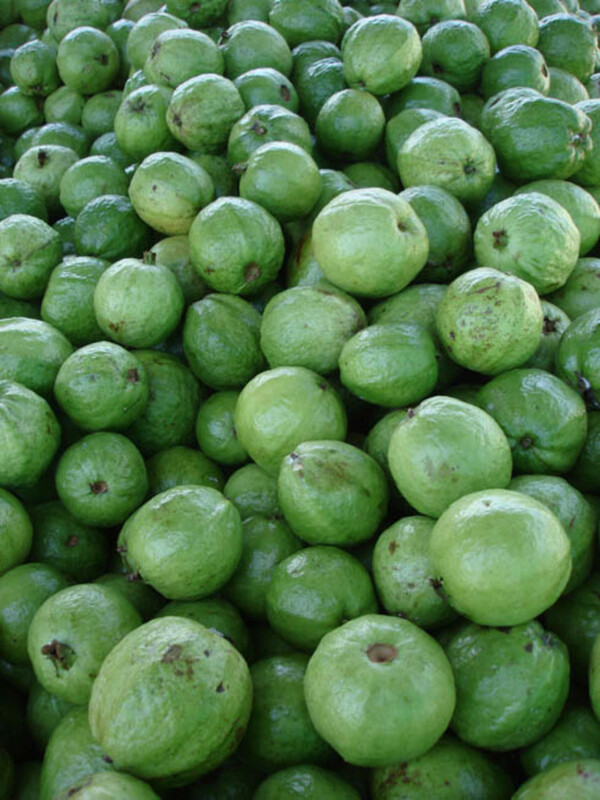 My interest on Costa Rica was revived because of cashew, but not entirely. It is more so because of my desire to learn to speak Spanish. Intercultura Costa Rica is providing similar opportunities in terms of language, culture and volunteering. The weather in Costa Rica is very much like the Philippines in that May is when the plants start to reinvigorate because of the onset of the rainy season. Although I’m in the Philippines at the moment I’ll be coming from the United States where I maintain a home and have lived for the last 45 years. I am a dual citizen thus I also maintain a home here in the Philippines. I am planning my trip to Costa Rica within the months of May through July. The round trip air will be through San Jose although I’d prefer to arrive in San Jose and depart from Liberia. I am still figuring out the logistics of this option. Anyone who has knowledge of the matter is welcome to provide input. Thanks. Hello! Thank you for this wonderfully informative article with invaluable information! We're envious of your already being there enjoying the good life! We're interested in a volunteer trip and would love to talk more! If you have some time, please email us at katieq4@gmail.com! If you head to the Potrero, Brasalito, Tamarindo area on the Guanacaste Pacific west coast you'll find lots of like-minded people, wonderful beaches, cold beer and live music. Tamarindo is more of a young surfing beach, but Brasalito and Potrero have many young retirees in the 50 age region, lots of activities and local laid back bars and many people from the US and Canada. I want to give living in Costa Rica a try. I should be able to adjust quite easily as I grew up in a rural tropical country. I am now retired from the U.S. and could work at Centro Educativo Corotega. I'm anxious to get started and would prefer to have a dialogue with you offline. Please advise. Thanks. Thanks Melissa! Well we have been in Costa Rica for a year - moved here form the Middle East, and will be heading off again (looks like to Africa somewhere) in a few months. Costa Rica is wonderful place to live....sooooooo easy but it is expensive, easily on a par with the US or a little more in terms of food, etc. Thank you soo much for your time! PS- I am working on a hub right now, How to find good quality, AFFORDABLE dental care outside the U.S.! There are good and bad dentists everywhere! I know Costa Rica advertises their medical and dental tourism services! Sand flies are bad sometimes, but I have enjoyed a lot of nice days at the beach! Boat services- Galaxy runs frequently. Thank God, I haven't had any mosquito diseases! I do get concerned about that though! Love to hear more about your life in Costa Rica! I love Roatan! Melissa, can I ask (I'm currently based in Costa Rica) - is there a problem with sand flies (as they were really bad when I visited in the early 1990s). What about boat services to the mainland and hospital and school options for kids? Is malaria, dengue or chinkanguya a problem? I don't know about Costa Rica, but here in Roatan, you would have way more then enough $ with great internet service. Uruguay is wonderful , and you would have more then enough there as well. We love Solis, and the area of Punta del Este. Enjoy your adventure! Thanks for a great post!! Me and my fiancé are looking to move down to costa rica. I run a mortgage business from Canada and would require a place that has decent Internet connection. Initially I thought we'd go to a small town but I'm worried about the Internet connection ? Please let me know where you think we should be looking for Rentals? Absolutely love your Hub! We moved to Roatan, Honduras this past August. I share a lot of your sentiments! I have a 16 year old son who is enrolled in a small, bilingual school which offers a US diploma. He loves it here, I am still settling in... I did lose 10 pounds easily, that was a nice bonus! We have lots of fruit trees in our yard, and a huge vegetable garden. We love the weather and the people. It's been a good move and like you, I am sure, we have learned a lot! Thank you for sharing! Amazing read, and thank you for posting. I too, like to leap without fear.. Knowing all will work out... I do have one question... Did you have to come back every 3 months to the states your first year? This isa move iI'm interestedin mmaking... Peru is my first choice, but the corruption there is not so good. Hi there, i am wondering what the options are for kids and the health system? WE are coming from Canada and would like our kids to have the best schooling, but private seems like a huge expense. Considering i have 3 under 11 years of age. Wow thanks for that post. I love Costa Rica and I love Playa Avellana. I love CR and Avellana so much that I lived there for 5 years teaching English on the beach. Married a CR girl and adopted her 8 year old son. Now 14 years have passed and I have been in Denver Colorado for about 12 years and I want to move back to Costa Rica with my two kids and even with the ex wife. We would live on a beach town preferably in the Tamarindo area. I now have two kids a boy and a girl who are my life and I desperately want them to grow up in the tranquility of CR have them learn to surf and learn to appreciate different cultures. Your videos brought tears to my eyes. Anyway before we left Costa Rica after getting married on Playa Langosta we had the good sense to buy two pieces of land. 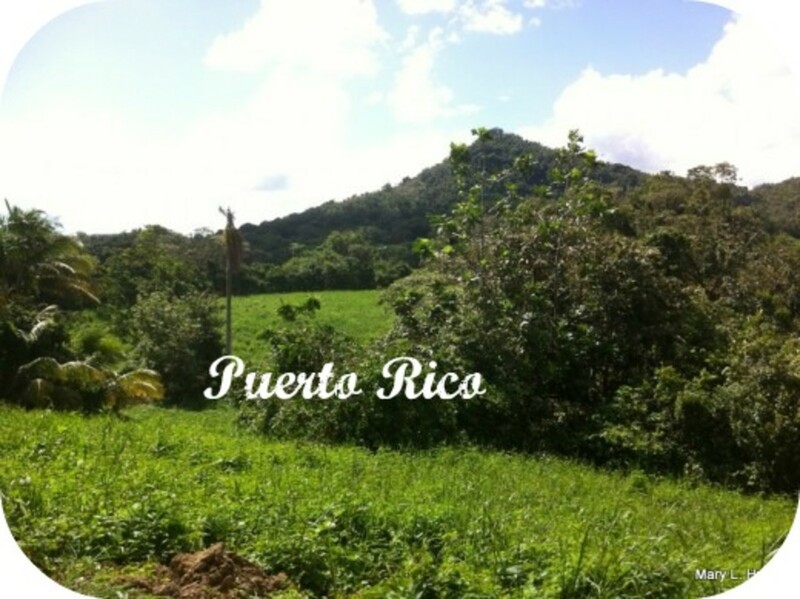 One piece of land is 5 minutes from Avellanas and we are selling most of it in the next couple of months. I would love it if you could email me at nate_mcchesney@hotmail.com. I don't know where you live you said Nicoya however your posts say Playa Portrero where is where I lived for 5 years teaching English at CPI language school right next to the dive shop in Flamingo. Thanks again for the great post. I look forward to hearing back from you. Hi! I loved reading your article. I am interested in moving to Costa Rica after I graduate and have been researching it for a few months. I am wondering how you obtained a Visa and all of that kind of stuff and how hard it is/how long it take to gain residency there. In other words, how are you able to legally live there? You can email me whenever you want at mcarlson592@gmail.com! Thank you for you time! Hi, I posted on here a while back - and wanted to add an update. For people who are really serious about moving to CR (it's wonderful here) there are some great Facebook groups, all with people who live here, that are an absolutely mine of information. You can get a lot of information from a lot of people living all over Costa Rica. For people on a strict budget, Costa Rica can be very expensive on the northern pacific coast...you will be better off in the highlands (Grecia, Atenas) or further south along the southern pacific coast. For those on a very strict budget you may want to consider Nicaragua instead - which is very similar to Costa Rica, but cheaper..there are quite a lot of expats there and a facebook page for those living in San Juan Del Sur - a pacific coastal town just over the northern border of Costa Rica and south of Granada. I'm just starting to research if I can move to costa rica with my family for four to seven weeks this summer. I'd love to be near the beach and take spanish classes. Any suggestions on where to start? Hi we are relocating there with our two children..They will be 11 and 9... I am a pediatric occupational therapist... Do you have any connection or ideas if I Would be allowed to work with special need children there? I really want to do this. How much would you estimate to get started there as a single male in his 30s? I'm well-traveled and resourceful and would enjoy a medium sized town where it feels friendly and communal without having everyone in everyone else's business all the time. Thank you!! Adam and Aerin, thank you both for your comments - I have sent you emails with answers to your questions. I really enjoyed your article and your girls are adorable. My wife and I have just started thinking about a move to South America and CR looks like a great option. We have a lot of affairs to get in order before we could do such a thing so we may be a few, hopefully short, years away. Do you know many folks who homestead? We raise milk goats and chickens and would like to do that there if we were to make the move. Could we sell our homesteading products there as a way for income. Does CR have laws about raw milk, eggs, etc. It seems you are covered up with questions so no hurry on answering mine. When you get a chance my email is akwilburn@aol.com. Hi! So I think you are absolutely amazing! my husband and I are wanting to move to Costa Rica in a COUPLE MONTHS! We have three boys and my sister and her baby may be going with us. Is there anyway I could get in contact with you for more guidance? My email is aerinblanton@gmail.com. I have so many questions and it would mean so much to me! Thank you for being such an inspiration. Excellent article. I'm from connecticut, gotta get away from snow . Thank you for your message Carmen, I sent you an email so we can talk more. Hi Neil, I am sorry but I don't know much about the country's rehab facilities. Maybe someone else reading the article has some information they can share with you. Thank you so much for this article I have some devastating things happen in the past year that has made me really tried of living in the US and I am thinking that it is time for a big change. Im an MD with a focus on addiction and rehab.Have a young son whos gotten in to surfing.Norway is cold! Do you know anything or have any contacts at any of the countries rehab facilities?Would love to start afresh spending more time with my kids! hi Sandra, I don't know of any specific websites, however I know there are a lot of "home stay" programs here. If you do a Google search of "home stays Costa Rica" there are a variety of websites that come up. I am sure it will be a great experience for you to stay with a local family. Good luck! You article is such a big help, I'm too a single mom of two girls. And before eiether of them were born, I always wanted to raise them in a culture filled environment. But this isn't my only reason, I have a list of reasons why I would like to leave the US. I feel I've outgrown home and it no longer feels like "home". I've thought of this move for years and im officially ready. I'm looking up more information on Cosat Rica. I would love to ask you some more questions if possible, you can reach me at carmen.carde@gmail.com. Thank you. Thank you for sharing your experience and all that information with us, Ines! Pura Vida! Hi, you have a lot of courage to do that as a singlr mother.that is truly awesome. I am planning on going in January alone, but don't want to live alone in a place.do u know if there is a website or something where I can find a room to rent with a family in a safe place?thanks for ur help! I posted earlier about trying to make the move to CR. I'm single and it seems that many of the posters are also single. Perhaps there is a way that some of the single people can connect and together make the dream of moving a reality. I think that taking that leap is easier with a family but going it alone is somewhat daunting. If there is someway that you can connect those of us who are single, maybe we'll click and figure out a way to move to CR. Thank you for your very inspirational article! This is something that I have been longing to do for quite some time... a longing that every time I think about gives me the feeling in my chest like when you first fall in love with someone. Hearing what Juan Eduardo(above) posted about the Canadian couple is just terrible and has probably just burst my 'dream bubble' to the point of devastation... as I am also Canadian and not a 'spring chicken' anymore, but not at retirement as either. Guess I will have to start buying lotto tickets. :) Hoping I can still make this happen! hi Viki, Sounds like you have a good plan so far! I'll email you with the answers to your questions. I too am ready to relocate with my 10 year old son. 1 way ticket for us. I have yet to figure out how I will earn a living or where we will live. So many places to choose. How much $$$ do you think we will need for 6 months to figure out just what we want. Hi! Really great article and it's wonderful you had the guts to do something different. Too many people right now are miserable, but scared to change. I have a question or two, which you can email me to answer or answer here (cumberbatchv@gmail.com). I am 24, no loans no debt, moving to Costa Rica to do a work exchange in a hostel in San Jose for an undisclosed amount of time (waiting on peace corps interview). I purchased a one way ticket, and an additional round trip ticket to Managua at my 90day mark (should I not have gotten a round trip? I will be returning though). I don't need a work visa to do a work exchange, so I guess essentially it can be considered volunteer work? I'm just wondering how I'll say it when I hit customs and they ask what I'll be doing there since I have no visa. ALSO! I wanted to get a little side job, 2-3days a week. I can teach English (I have a US teaching cert. ), be a receptionist, etx etc. I just want to maximize experience in ecotourism, do you think I REALLY need a work visa for this? A stipulation is I need permanent residency....and that's not really an option at the moment. I hit you with a lot! I apologize but I hope you can help me out a bit! No one I know has moved to anywhere really lol, so I found you! hi Salvatore and Trista - I will send you both an email. Thank you for your messages! hi Fracter - there is a big expat community here in Costa Rica and the locals are very open and friendly as well. You would need to find an area here that has people of your age group and interests, but I don't doubt that you would be able to make friends easily. As an expat, it seems we all bond here very quickly since we have the shared experience of leaving home to live here. Everyone is very supportive and helpful, especially for the newbies. Good luck! hi James, High speed Internet is available in an ever-growing number of locations, it will depend on the company you use for service, but some of the amazing speeds available in the US may not be available here, or may cost more. I think 4MB download is a pretty typical "high speed internet" here. Unfortunately, I am not educated on the start up scene here. I would think those opportunities would be found around or near the capital of San Jose. thank you for the article and for sharing your experience. I'm interested on finding a job in Costa Rica. I'm expert of ICT field since I'm telecommunications engineer. At the moment I have an intermediate level of English and I know a few words in Spanish, but I can learn it fastly since it is very similar to Italian. Can you provide to me suggestions about to search for a job? 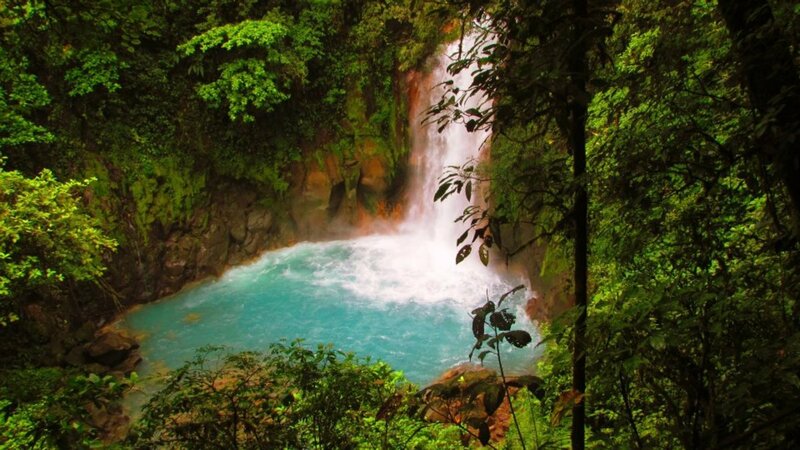 i can't wait till the day i go to costa rica! id like to spend a few month or a year there,i work around children,im a child entertainer working in a day care center. in your article you talk about child care,that you can work in that. but how? babysitting?aupair? or do they have child centers in costa rica? like day cares,summer camps stuff like that ? Thanks for the wonderful article. Like kayerowe above, I am a single female thinking of moving to Costa Rica and having great concerns about the safety. Also, I am hoping I would be able to meet a "friends network" there. I know many people who go there are families and probably spend most of their time with family. Since I don't have a family I wonder if I would be too lonely, or if there is enough interaction that I would meet and have goo connections there. What's the internet connectivity / speeds? Besides of mom and pop businesses, is there a startup scene there? I'm from Austin and I would think the universities there are doing something to keep and attract talent. Hi i had a few questions because my fiancé and i are thinking about moving to Costa Rica. One of the main questions I have was about finances. You said you didn't work for about a year. How much did that take if you do not mind me asking. My email is mstigger22@gmail.com Please email me because I have a couple questions. Wow, I love you article as it very informative. But Im amazing and grateful to see your willingness to help other to reach theirs dream to mo to costa Rica. We will be traveling to cr next year staying in quepo as we have a timishare there . My husband and I have always taik about to leaving the hot AZ to a place where we can enjoy live a simple life. Would like to keep in touch as we two have questions. hi Frank, thanks for your comment. I will send you an email to try to help answer your questions. Single mom of 4 yr olD. Tired of America. .tired of the hatred, bitterness, envy, working like a slave to still be miserable. I recently just visited Puerto Rico and I knew where my life has been going wrong. My email is siyon10@hotmail.com please help me with knowledge to move, schools for child, and job. Please. Why do governments in Canada abuse the elderly? Ted and Sarah were born in Toronto Canada back in the early 1940s. Both had dropped out of school early for financial reasons. Ted worked and paid taxes in Canada for fifty years and his wife Sarah for forty seven years. With less than a high school education both of these people worked their entire lives for companies which paid low wages and did not offer retirement pension plans. The low wages they earned made it impossible to raise their three children and accumulate any savings. They managed to put their children through school and never once did they claim welfare or unemployment insurance benefits. Both Ted and Sarah also donated much time and money to humanitarian work. Upon turning age sixty five they started receiving their government pensions. This elderly couple quickly discovered that the amounts they received made it impossible to pay for rent and groceries while living in Toronto. They never complained about the amount they were receiving, but they did realize they’d have to make drastic changes in their lifestyle so they could live within their financial means. An ex co-worker of Ted told him about a home for rent in Costa Rica, which was available for only half the amount he was paying for his apartment in Toronto. With the financial help of his adult children “to pay the airfare”, Ted and Sarah moved to Costa Rica and rented that small house. Although they could not afford to have a car or eat at restaurants, they were living a better life in Costa Rica without the financial stress they were suffering back in Ontario. Once each month they’d take a bus to Scotiabank in Costa Rica and withdraw pension money from their Canadian Scotiabank account with a debit card and pay their rent, that was their monthly routine. One month they went to Scotiabank in Costa Rica to withdraw their rent and discovered that the pension money was dramatically reduced. After dozens of frantic phone calls to Canada they discovered that a portion of the Old Age Pension they were receiving was not payable outside Canada after six months. This was devastating news; they could not pay their rent in Costa Rica. Note: In Canada the Canadian government provides an additional amount to the Old Age Pension, for people who have no company pensions or other sources of income. This additional amount is called “The Supplement”. This benefit brings Canadian seniors closer to the poverty line. Sarah nearly went into shock when receiving this devastating news. She made so many new friends and she’d spent months putting the interior of the rented home together. As she had to leave Costa Rica in such a short notice she gave away all her belongings to the local Costa Rican people she’d befriended, including her new couch and bed which they spent their last dollar to buy. They spent their first four months sleeping on an air mattress. Relatives back in Canada (who had very little cash to spare) had to scramble and come up with air fare to get Ted and Sarah back to Canada, plus pay the rent owed in Costa Rica. Upon arriving in Canada they were notified that not only had they lost a large part of their government pension, but they also lost their Ontario health care coverage because they were outside Canada for more than six months. These two assaults by government destroyed the lives of these two elderly Canadians, they could hardly comprehend what was happening to them. Ted and Sarah were forced to borrow even more money from relatives to pay for three months of private health care coverage, which was very expensive for people their ages. There Ontario health care was reinstated after ninety days. hi Dafne, thanks for commenting! I will send you an email through my personal email account so we can talk! Hi Sheila, I just sent you an email from my personal email as well. I lived in Herradura Beach near Los suenos for a year and also had my baby there. I have also traveled all over the country. I moved back to the states about a year ago and miss CR desperately. I am an RN and can easily get residency but my RN degree is not recognized in CR like most of the world. So I just have two obstacles to returning, making money and the private school Falcon closed where my 2 high school aged children went to school. I want to live on the coast near Jaco again but my 14 year old daughter needs an accredited affordable school and I need a way to earn an income...any ideas?? Hi Julie! So great to hear from you and to hear about your plans! I will send you an email and try to answer some of your questions!